Ghosn also earned $8.34 million as Nissan CEO. Renault's biggest trade union, the CGT, criticized the automaker's proposal to more than double CEO Carlos Ghosn's 2014 pay package to 7.22 million euros ($7.85 million). 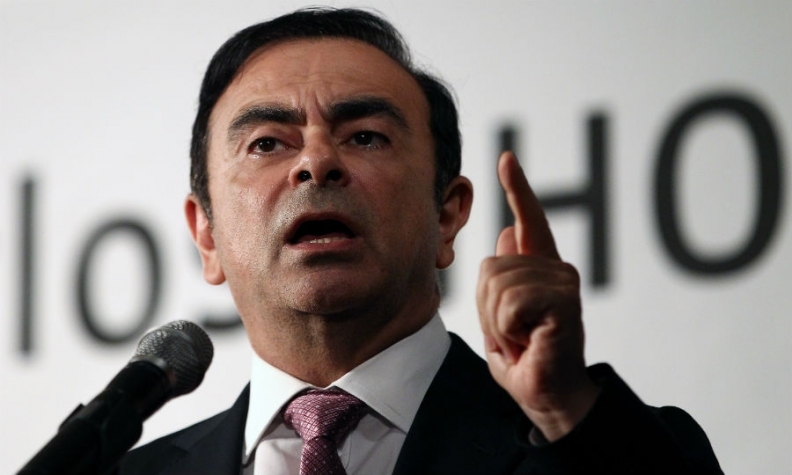 “Ghosn hits the jackpot and we get the crumbs,” the CGT said in a statement after details of Ghosn's proposed remuneration for last year were disclosed in the media. Renault is cutting 7,500 jobs in France by 2016 to reduce fixed costs by 396 million euros and help boost the automaker's profitability as part of a labor deal agreed with unions in 2013 that also included a pay freeze. Ghosn’s proposed salary for 2014 as CEO will increase to 7.22 million euros in cash and shares from total compensation of 2.67 million euros in 2013, according to Renault's 2014 annual report. The Renault pay will be added to Ghosn’s earnings as CEO of alliance partner Nissan. Ghosn was paid 995 million yen ($8.34 million at current exchange rates) including salary and bonuses by Nissan for the fiscal year ending March 31, 2014. Ghosn's salary breakdown at Renault includes 1.23 million euros of base pay, 1.36 million euros in variable shares, 453,563 euros in variable cash and 100,000 in shares valued at 41 euros per share, Renault's annual report said. The CEO's salary is tied to the automaker's improved financial performance in 2014, Renault said. The automaker tripled full-year profit to 1.89 billion euros in 2014 thanks to strong European sales and the 2013 labor deal agreed by French unions in return for domestic production pledges. Five of Renault’s 19 board members voted against Ghosn's pay raise, including the representative from the French state, which has a 15 percent stake in the automaker, the Financial Times said in a report earlier this week. The pay hike likely will be subject to debate during Renault’s annual shareholder meeting on April 30 when shareholders will vote whether to approve the package. Ghosn previously turned down his bonus pay in 2013 after the company admitted wrongfully accusing senior managers of spying.